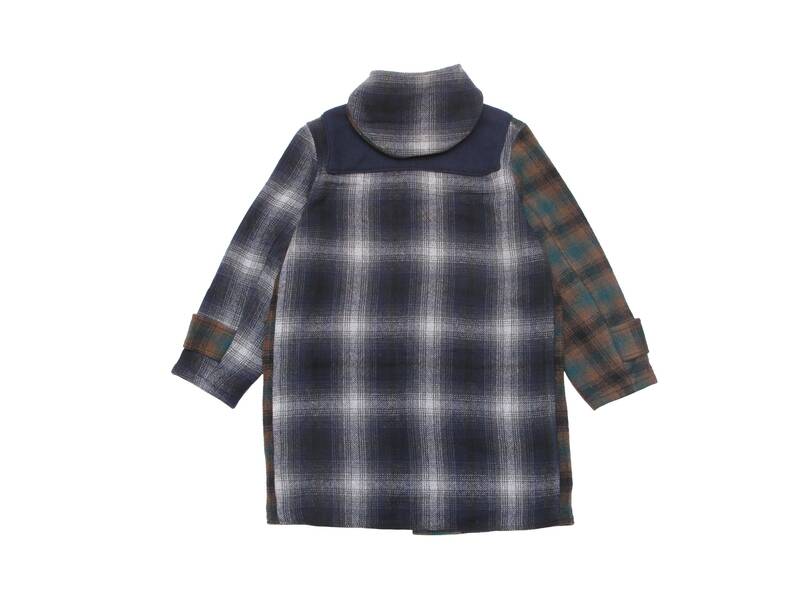 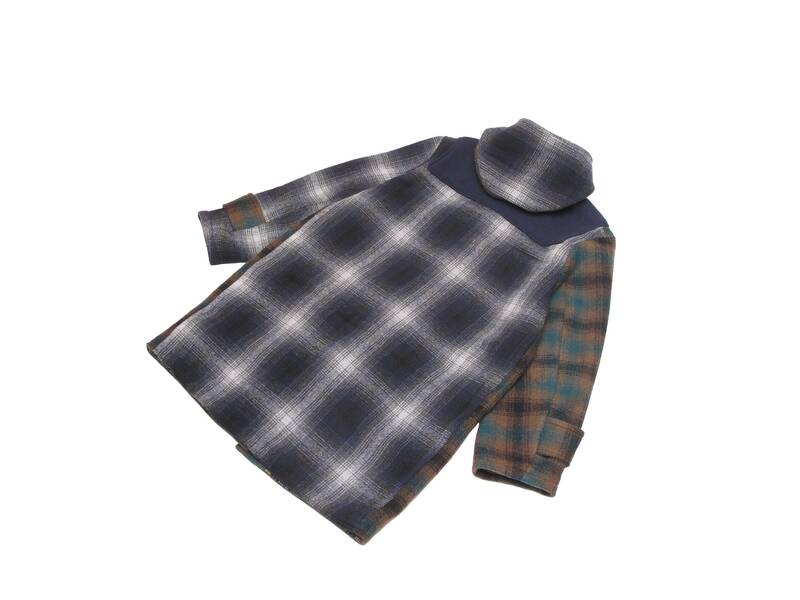 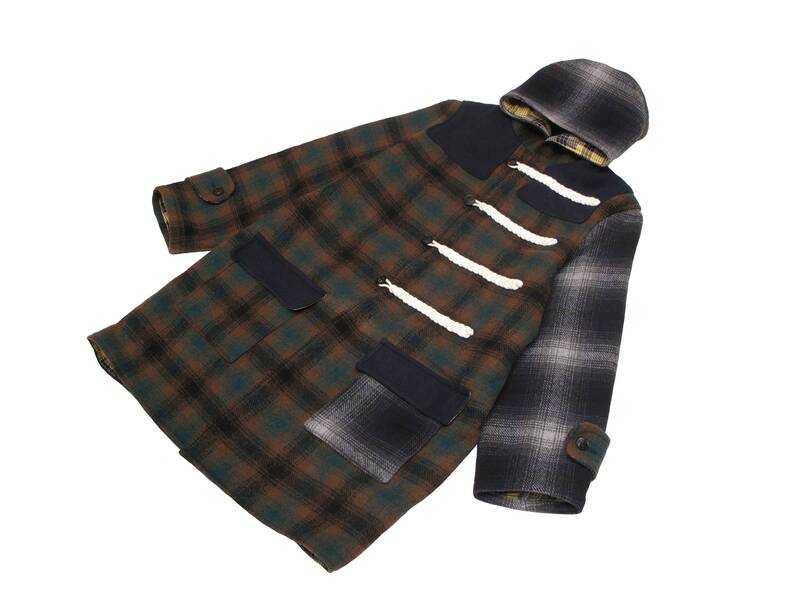 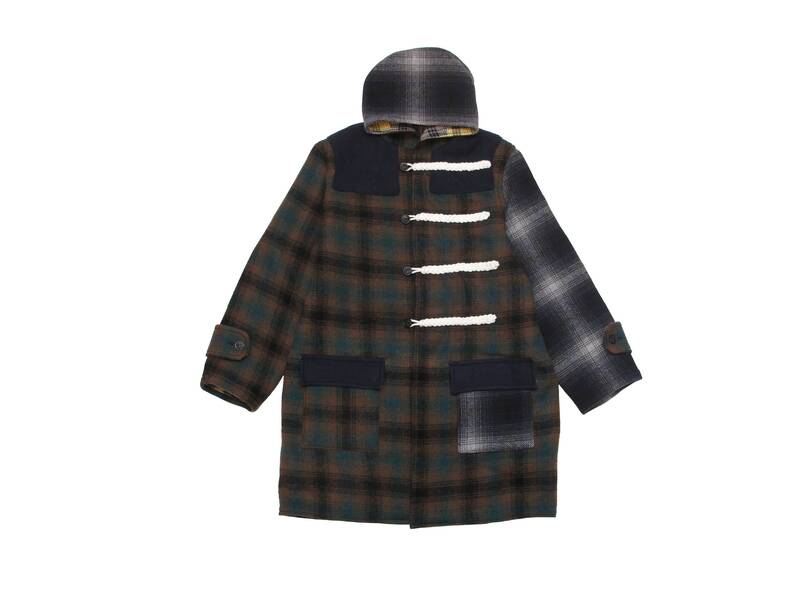 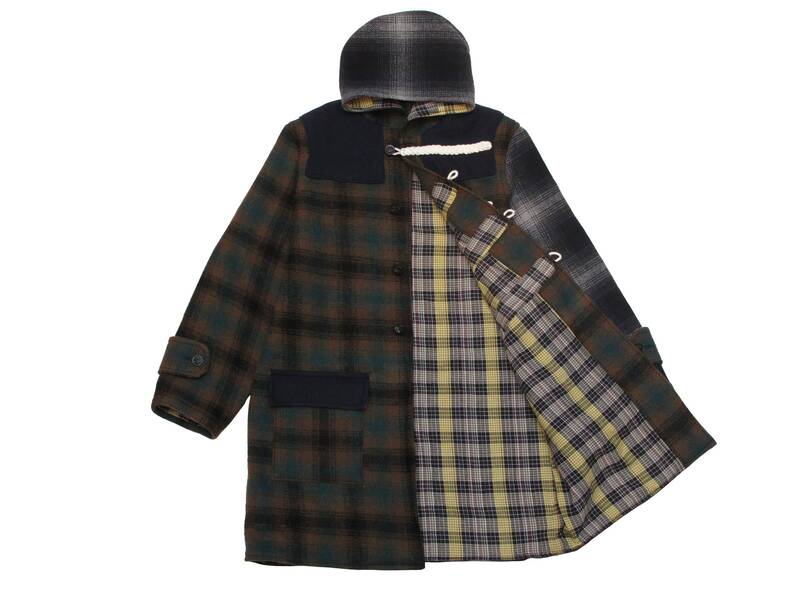 a vintage Pendleton tartan blanket in brown and green and a blanket remnant in a blue shadow plaid combined to make this duffle coat. 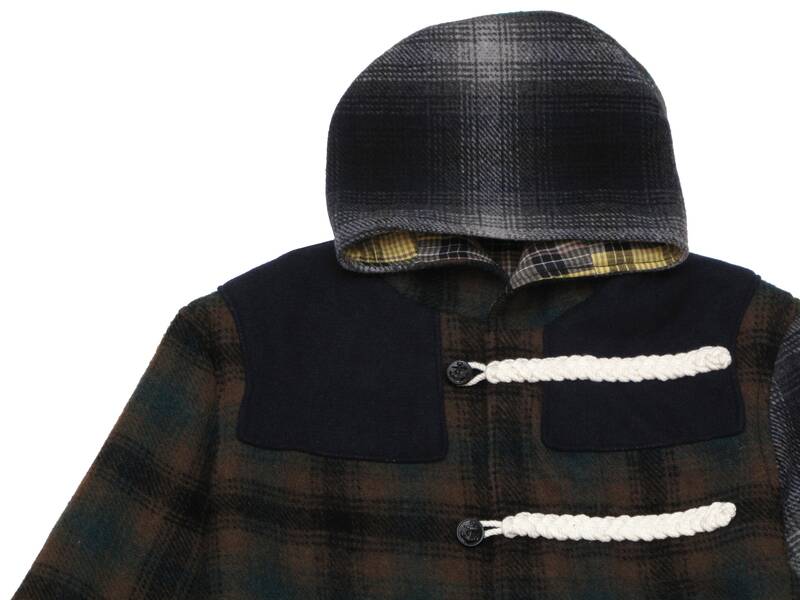 lined with a cotton plaid. 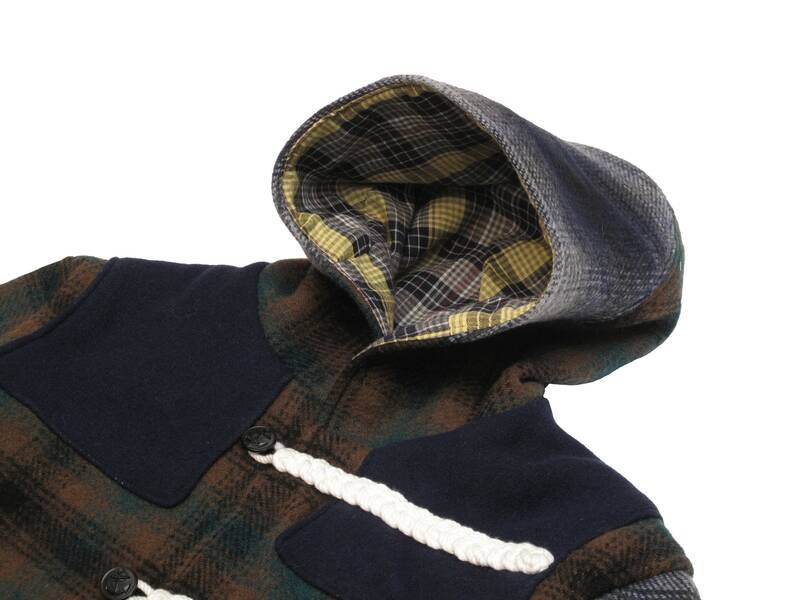 two front pockets with flaps. 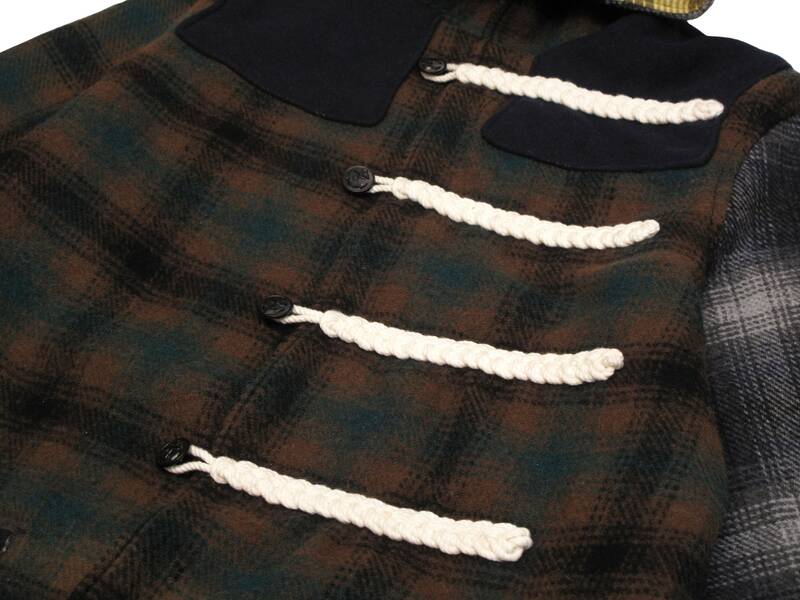 vintage navy uniform buttons. 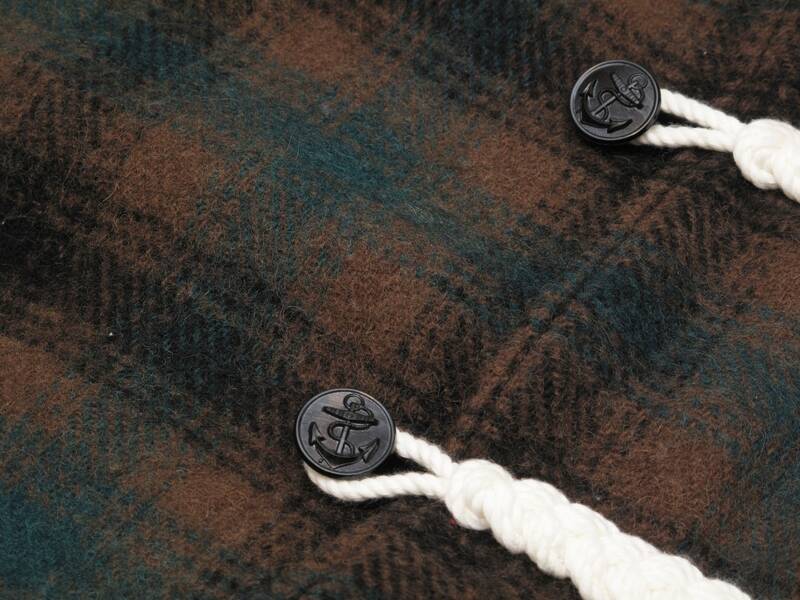 hand braided button loops applied entirely by hand.